Pinterest. That lovely time wasting site full of all pretty things. But buyer beware! Some of those pins, oh man do they lead you astray. 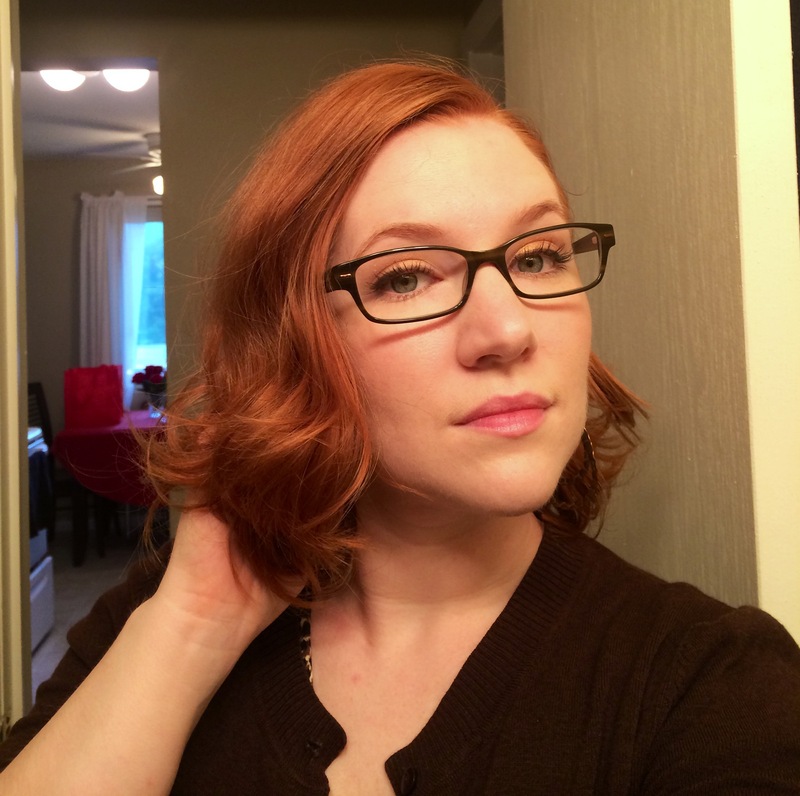 For example, I tried a no-heat overnight curl tutorial – the horror! I ended up with these really odd shaped squiggles that stuck out. Not a good look. In the interest of science and sisterhood, I decided to try this very popular pin I keep seeing for overnight curls (http://www.pinterest.com/pin/127437864430969544/). Using just a small stretchy headband, some hair spray, and a teasing comb I was able to actually make this one work! You start off by putting on the headband on so it lies slightly across your forehead and down near your back hair line. Then you twist small sections and wrap them around the headband. This part was a wee bit tricky, I had to redo the front sections a few times as they came untwisted when I added the back sections. 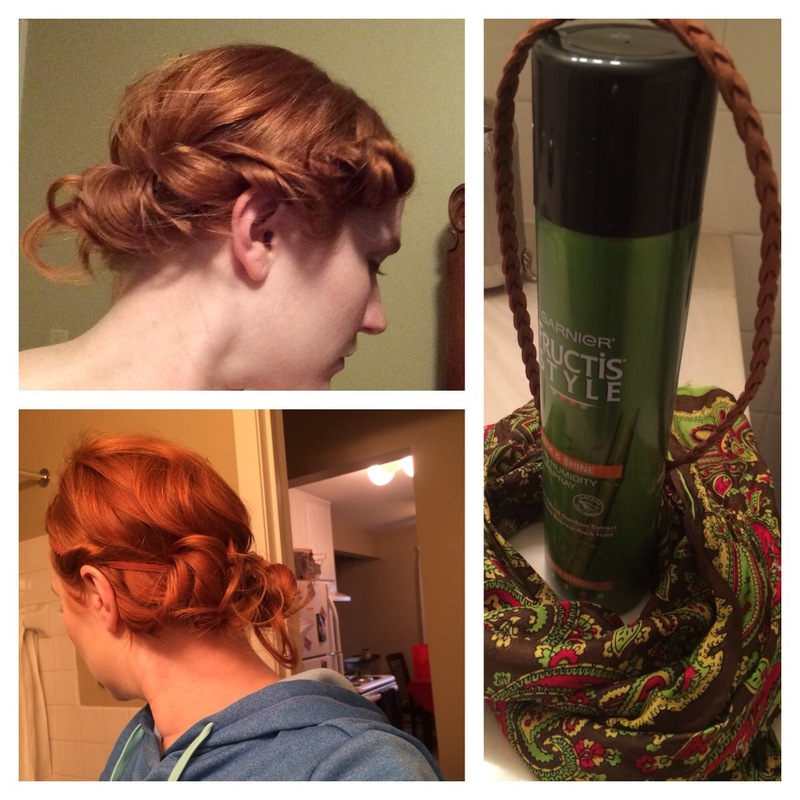 From start to finish, wrapping my hair up took about 10 minutes! 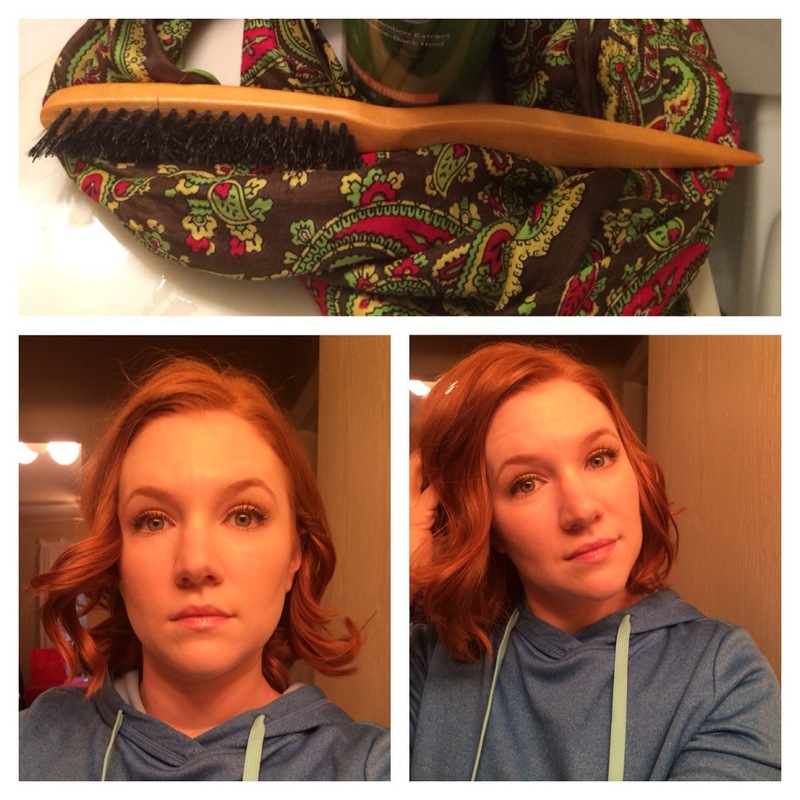 (TIP larger sections = bigger waves, smaller sections = tighter curls). Now I wrapped my head in a silk scarf to sleep, prevent some of that nasty frizz and it helped keep the sections in place through my tossing and turning. Photo: Top Right – at bedtime. Bottom Right – morning after. Left – products used. I gently ran my fingers through my hair loosening up the sections. It looked cute and wearable! Not very curly but definite wave. Now I am a big hair kinda girl. So I teased the crown to add a little lift to the look. Accessorizing with a tortoise shell clip on one side and I was ready to run out the door to work! Did I mention I spent about 5 minutes this morning doing my hair? Awesome on those hectic mornings! Photo: Top – my teasing comb of choice today. Bottom Right – right after sections were taken down. Bottom Left – after separating the sections. Overall, I give this two thumbs up and I will use this method again. Writing this, a good 6 hours after taking the sections down, the wave is still intact and looks as good as it did first thing this morning! Next time I will probably pull the headband closer to my crown in back for just a bit more curl. I could probably have added a bit more product to help the curl too.